The existing waste water treatment works at Ardersier. Scottish Water has been forced to wait for permission to lay a controversial sewage pipeline through woodland near Ardersier. A slight amendment to the planned route of the main at Ardersier Common means the the utilities company has had to seek guidance from Highland Council on whether to carry out an environmental assessment. The area was the scene of a protest earlier this week as locals attempted to stop the tree cutting and vegetation removal which precede the pipe laying. The sewage main will connect with a nearby water treatment works which is currently being upgraded. The council had previously indicated that an environmental assessment was not required in March last year. A spokesman for Scottish Water said: “The route has since been amended slightly in the vicinity of Ardersier Common, so a fresh environmental impact assessment screening request has now been submitted to reflect this change. “Development will not begin on the revised section of the route until an updated screening opinion is received from the council. “The activity that has taken place to date is limited to removal of trees and other vegetation in order to minimise potential impact on the bird breeding season. 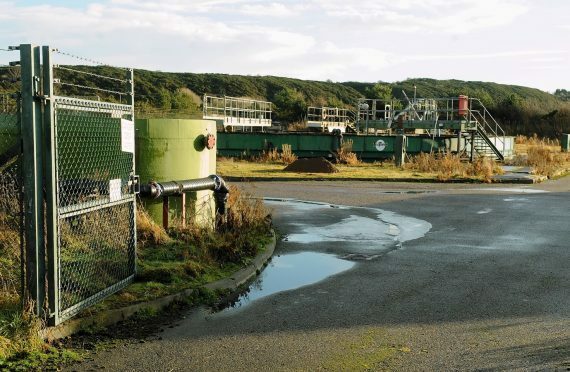 Campaigners against the pipeline and sewage works upgrade accused Scottish Water of “vandalising” the woodland, which contains various paths on the shores of the Moray Firth. Concern was also raised about the impact on nesting birds. The Scottish Water spokesman added: “Scottish Water commissioned ecological surveys in advance of this work to assess its potential impact on all European Protected Species and birds within an area extending to 50m (165ft) either side of the pipeline wayleave.